ATS/ISAW Lecture: "Excavations at Arsantepe/Malatya & Ayanis"
The American Turkish Society and the Institute for the Study of the Ancient World (ISAW) at New York University are pleased to present their seventh lecture and workshop in their series on the archaeology of Turkey. On Thursday, April 10th at 6:00pm, Drs. Marcella Frangipane and Mehmet Isikli will present on their excavations at Arslantepe/Malatya and Ayanis. Professor Marcella Frangipane will speak on the excavations of Arslantepe, in the Upper Euphrates drainage basin, and how recent excavations show Arslantepe (near the modern-day city of Malatya) in the 4th and 3rd millennia BCE to have been at the nexus of connections with Mesopotamia to the south, western Anatolia, and the Kura-Araxes Culture of the South Caucasus. 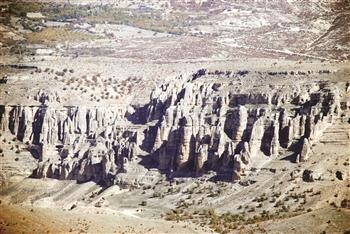 Professor Mehmet Isikli will speak on the excavations of Ayanis Castle, one of the best preserved of Urartian Castles. Located 35 km north of the city of Van, Ayanis castle is on the eastern shore, 300 meters inland from Lake Van. The excavation at Ayanis has been ongoing since 1989 and is now in its 25th year of operation. The event is free and open to the public, however space is limited and per-registration is required. You may register using the link below. Professor Marcella Frangipane is Professor of Prehistory of the Near and Middle East at the University of Rome, La Sapienza. She earned her PhD in Archaeology-Prehistory from La Sapienza in 1974. She has been working at the site of Aslantepe in Malatya for 38 years and is now Director of the excavation. She is the recipient of several scientific awards, including the title of ‘Cavaliere dell’ ordine della Stella della Solidarieta’. Author of many books and publications, she is also the current editor of the journal ORIGINI (Journal of Prehistory and Protohistory of Ancient Civilizations). Professor Mehmet Isikli, is Associate Professor of Archaeology at Atatürk Universty in Erzurum, Turkey. He earned an MA and Pd.D in Ancient Near Eastern Archaeology at Ege University in İzmir, Turkey. He has worked at many excavation and survey projects in Anatolia. His specialty is Eastern Anatolia and Southern Caucasus Archaeology, namely Early Bronze Ages. He is currently director of the excavations at Ayanis Urartian Castle in Van, Turkey. On April 11th, the following day, a workshop organized by Professors Lorenzo d'Alfonso and Karen Rubinson will take place. It will explore the concept of borders within the landscape of pre-classical Anatolia and the South Caucasus, areas with highly varied physical geographies and both past and recent political borders that have biased interpretation of archaeological information. To register for the workshop on April 11th, please use the ISAW website here. This program is made possible by a generous sponsorship by Archaeological Tours.